UAGRA team in collaboration with Istituto Oikos is working at the protection of sun bear (Helarctos malayanus), one of the least known bear species in the world. Classified as vulnerable by IUCN Red List and inscribed in Annex I of CITES, the species is mainly threatened by habitat loss and commercial hunting, which take place throughout its whole current distribution. Project goal is the promotion of the conservation of sun bear and its habitat in Myanmar, a country considered to have the largest expanse of potential species range in mainland Southeast Asia, but with huge areas currently referred to as “unknown”. For this purpose, project activities will concern: the acquisition of a better understanding of the status and distribution of sun bear in Rakhine and Sagaing areas by 2020, the long term protection of at least 15.000 acres of forest habitats in Rakhine and Sagaing through a sustainable and community based management, the improvement of local actors capacity on monitoring, patrolling and management of forest areas and local markets, the dissemination of information about sun bear biology and bear-human interactions to government decision-makers, managers, and resource-users in target areas by 2020. UAGRA team will focus also on Human-Wildlife interaction monitoring forest ecosystem with camera traps. These projects are funded by the Italian Ministry of Foreign Affairs and are focused on natural resources conservation of two marine national Parks (Quirimbas National Park, in the coastal area in north of Mozambique and Lampi Marine National Park, in the south of Myanmar). 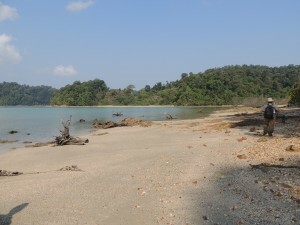 Lampi Marine National Park: has been the first marine national park of Myanmar, and proposed by the ministry of environmental conservation and forestry as UNESCO world heritage site. Is important for the variety of aquatic fauna including marine mammals, dugong, sea turtles. Is characterized by tropical lowland wet evergreen forest in the interior, mangrove forest along rivers, beach and dune forest along the coasts. 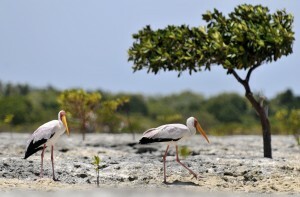 – survey of natural resources of the two Park areas (birds, terrestrial mammals, sea mammals, sea turtles); for example in Mozambique we focus the attention on coastal birds, dolphins, marine invertebrates; in Myanmar the monitoring activities are on birds (both coastal and forest species, including a special focus on Hornbill species), terrestrial mammals with camera traps and flying foxes. – at the end of this process we should also work about the promotion of economic initiatives in the environmental sector (mainly ecotourism initiatives linked to the knowledge of environmental resources, involving local communities). Life on Earth is rich, complex, and surprising. In order to understand it, we must imagine an extremely varied web of natural habitats that are inexorably linked to one another, or interconnected. Biodiversity is the wealth of life on Earth. We are all part of this system: us humans depend on its other animal, plant, and geological components for our own survival. But this system is in deep trouble, the web that binds us is coming apart, and man is to blame: we are damaging the Earth’s natural patrimony at an alarming rate. 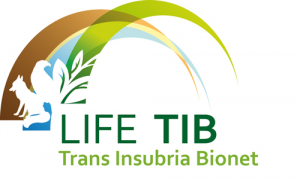 The LIFE TIB project aims to rectify this situation by improving and protecting a green area, a portion of the main ecological corridor traversing the Po Plain. It is an element of primary importance for the Natura 2000 network, which extends on a European scale, since it links the Alpine and Continental bioregions. In particular, the portion affected by the LIFE TIB project extends from the Pre-Alpine foothills of Campo dei Fiori (north of Varese) and the Ticino River Valley. UAGRA team partecipated to the project for the part of bats monitoring. Starting from 2011, UAGRA staff is involved in a bat’s monitoring project in cooperation with Stelvio National Park. 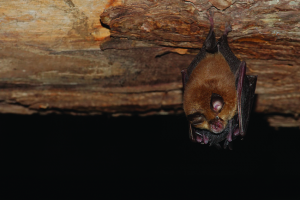 The aim of the project is to evaluate the effects of climate change on bat’s populations in the Park. The study has first defined a check list of all bats present in the Park through mistnetting, bat detector surveys and roost seeking and used presence data to create distribution maps for all the species. Habitat use and roost selection of target species have been investigated with radiotracking and microclimatic roost data have been collected (using data loggers). From 2015, the work is focused on the evaluation of conservation status and population dynamics of target species, through the constant monitoring of nursery identified in previous years, using both direct counts and infrared cameras. 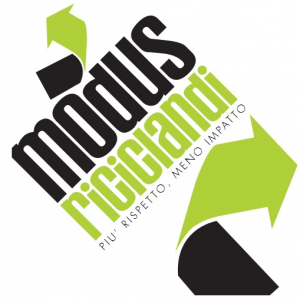 The project “RIFIUTILINSUBRICI”, was a sustainable development educational project, focused on the management, reduction, recycle and reuse of wastes. The project was promoted by the Province of Varese and the Republic and Canton of Ticino and carried on under scientific supervision of the University of Insubria, within the Cross-Border Integrated Plan (PIT – Programma Integrato Transfrontaliero) Italy-Switzerland 2007-2013, named “Rifiuti: nuovi percorsi di responsabilità transfrontaliera”. 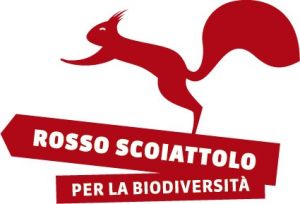 The main objective of EC-SQUARE is to eliminate or, where eradication will be judged impracticable, to control the risks posed by the introduced alien species, the eastern grey squirrel to biodiversity, and in particular to the conservation of the native red squirrel in Italy. A major challenge for a successful eradication and/or control campaign is to obtain a wide consensus of the civic society for control measures, suitable in different socio-ecological situations. This is especially the case when one needs to intervene on a species whose presence is not considered a menace by the general public, but which even has a positive appeal in some contexts like (sub)urban parks. To achieve our objective we will use an integrated approach of: (1) monitoring the current distribution and relative densities of the different grey squirrel populations actually present in N.Italy, (2) executing eradication and control programmes, as foreseen in a national and regional legal framework, and investigating their success-rate, and (3) developing an efficient public-relations campaign using both traditional and modern media, at the national, regional and local level (the areas where animals will be trapped), essential to obtain a wide consensus of the civic society. Integrating scientific and public relations aspects of alien species management will require close collaboration between specialists in both fields. EC-SQUARE will achieve this by forming a multi-disciplinary task-force. At the end of the project, this integrated system of actions will be used to evaluate innovative strategies for the management of alien species with a high social appeal and to produce recommendations to policy makers. The distribution of populations across landscape-habitat gradients constitutes a topic of great interest to ecologists, habitat and wildlife managers and conservation biologists: in fact, it has been demonstrated how climate change causes variations in distribution, habitat use and behaviour in many species. In particular, global warming can cause distribution range contractions, as well as local extinctions, in species with a narrow ecological niche. Thus, populations at the border of a species distribution range are more subject to ecological and genetic pressures, if compared with populations at the center of the species distribution, and those effects are exacerbated by other factors, including climatic variations. On these premises, the project aims at the verification of global warming effects, expressed as population dynamics alterations, in herbivorous Alpine mammals populations where reproduction and recruitment rates are linked to seasonal factors such as primary production. 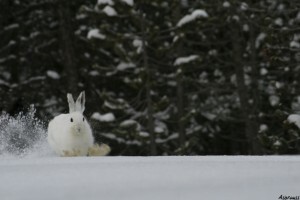 To verify these hypotheses, two model mammal species have been selected, whose Alpine distribution is strongly connected to habitats particularly affected by climate changes: the Eurasian red Squirrel (Sciurus vulgaris) and the Mountain Hare (Lepus timidus). For both species, the Alps represent an area at the border of the species distribution, which confirms them as valid models to ascertain climatic and environmental changes effects in marginal populations. Starting from 2015 a new attempt of “Citizen science monitoring” has been carried out from UAGRA researchers in cooperation with primary school students. 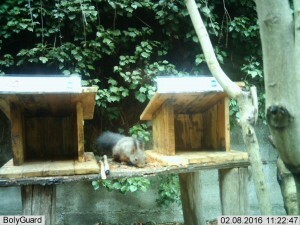 A “Cafeteria experiment” to investigate Eurasian red squirrel (Sciurus vulgaris) food choice has been set in the schoolyard of the “E. Canziani” primary school located in Varese. Few trapping sessions occurred, squirrels have been marked with ear tags and all of them have been named by children. Students from several classes have been involved in observation shifts to monitor a feeder in which limonene treated hazelnuts and non treated control ones were available to squirrels. Scientific approach mixed with young student’s curiosity will lead to increase awareness to species conservation in next generations?